From coffee tables to end tables, here’s what to know when searching for an accent table. You’ll most likely find one in a living room, but just about any table that sits at the end or side of a piece of furniture can be considered an accent table. And whether it be a small end table or larger, coffee table-type space, the right accent table can help pull a room’s style together, add color or texture, and round out a space. A balanced, matching set of furniture can make a room look clean and sharp. But there's no rule saying furniture needs to match, and varying a few elements— like several accent tables— is an easy way to add flair while showcasing your personal style. So what should you consider when shopping for a living room accent table? Here are some pointers for finding one… or two or three… accent living room tables for your space. When it comes to accent tables, one height doesn’t always fit all. If you're in the market for an accent table that will sit alongside a chair or sofa, a side table works best when it's no lower than an inch or two below the arm of the seat it's occupying. A standard sofa arm is 24 inches, but it’s always beneficial to double check your particular couch, so aim for a table near that height. If you're pairing with a sofa shorter in height, still opt for something no lower than an inch or two below the arm, unless you want to use the table as a stool. In that case, you may want to invest in a smaller end table – about 12 inches tall. 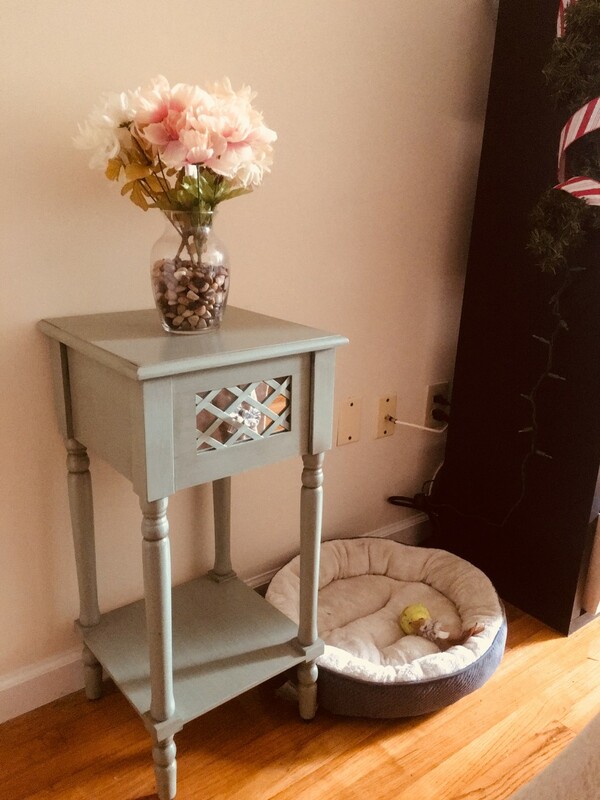 If your piece is going to serve as an entryway marker, opt for an end table 30 inches tall (something high that’s able to stand alone). One size does not fit all when it comes to end tables. Be sure to take measurements of the sofa or doorway that the end table will reside next to, and don’t be afraid to invest in a few different end tables for the same room. End table widths and diameters vary a lot, and you’ll want to ensure that the surface width of the piece you invest in will be able to serve the purpose you’re using it for. Will you be storing books, magazines, a lamp, or another decoration atop your accent table? Look for something that’s surface width is at least 20 inches across at its widest point, or, in the case of a round end table, has a 20-inch diameter. Anything smaller and the table won’t be as functional (unless you specifically are looking to use an end table as décor only). 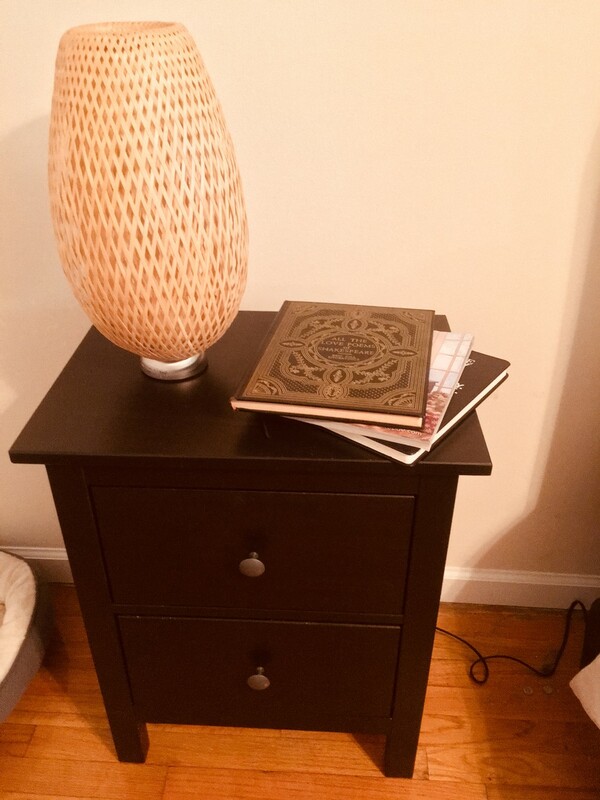 Again, be sure to measure the items you plan to put on your end table, if you have them on hand, to ensure accurate surface space availability. Living room accent tables come in a wide range of shapes, and mixing and matching a few different configurations can add style to a space. But you will want to make sure you don’t over (or under) do it. And when it comes to choosing a few for your room, don’t forget to count your main coffee table in the equation. Design the accent tables from the coffee table, out. The coffee table, usually centered among your sofas, will be the main accent table attraction in your living room. The number of additional side tables you need depends on the amount of seating you have, as well as the room's size. Any sofa or chair can have its own side table, or two seats can share the centered coffee table. That part is up to you and the amount of space you’re working with. Who says your accent table has to match the color of the rest of your furniture? Since they aren't the center of attention, you can be more daring with side tables than with big furniture, and lately, designers have been loving lush Kelly green. In fact, an accent table gives you the perfect opportunity to further draw the minor colors of your room’s palette into the spectrum. For example, in a room with charcoal couches and an espresso wood coffee table and entertainment center, invest in a tiffany blue accent table to match the curtains. Add a pop of color to your room, or pop of shape, if you’re feeling frisky in the architectural sense, to give some oomph to an otherwise normal style. When it comes to shape, round and oval tables are pretty much no-fail. They add depth to a room that typically has a lot of rectangular pieces (like the sofa, coffee table, and chairs). Adding a living room accent table (or two or three) to your space allows for creative freedom, extra storage space, and an opportunity to add some extra color, shape, and texture to your room. Don’t be afraid to invest in a fancy end table – or to mix and match a few designs that speak to your style. Happy decorating! Next: Make Homemade Leather Cleaner with Just 3 Ingredients!